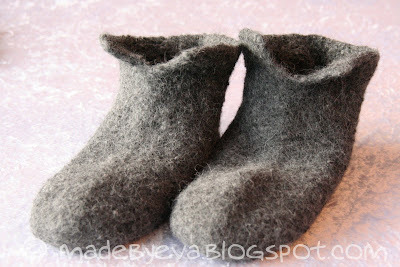 I've made felted slippers as christmas gifts before, and this year I've knit up a whole bunch of a new variety! 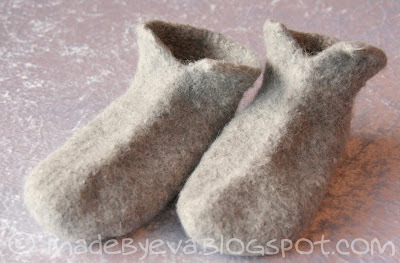 It all started when my mother asked for a set of thinner felted slippers for our cabin, and I started the hunt for a suitable recipe. 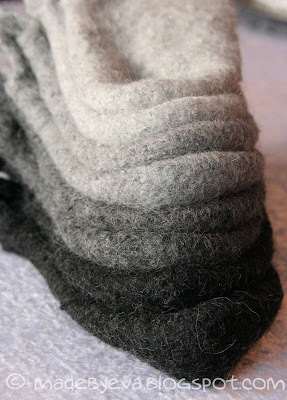 Having tested this DROPS recipe I decided that the recipe was rubbish but the yarn/needle combination brilliant. 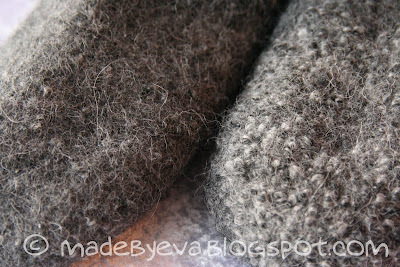 So I went ahead with the yarn and used the recipe that these ordinary socks are made with and it worked great! It was just a matter of adjusting the stitch count a little according to the measurements I took before and after felting of the first test pair. 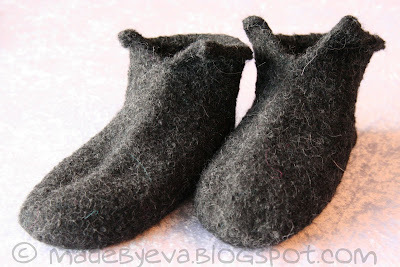 Instead of ending with ribbing as the socks do, the slippers end just above the ankle, with a short cuff with a split in the front. The cuff can be worn folded up or down as desired. This set consists of four slippers in different sizes. The darkest pair are the largest, and they become smaller as the colour lightens. Every pair is knit from grey DROPS Alpaca, two different shades of grey at once for each pair. 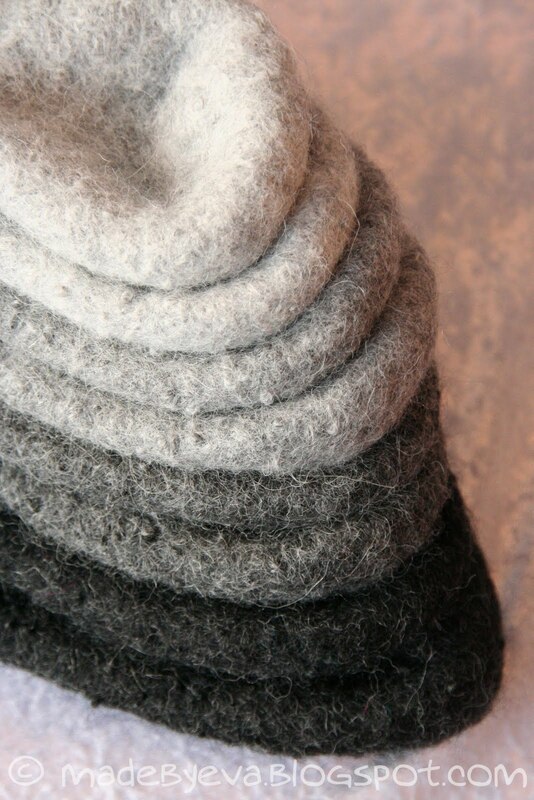 Blending two colours brings a little colour variety and life to what could otherwise be a solid block of grey.